My personal favorite watch, the Royal Oak 4oth Anniversary is absolutely fantastic. 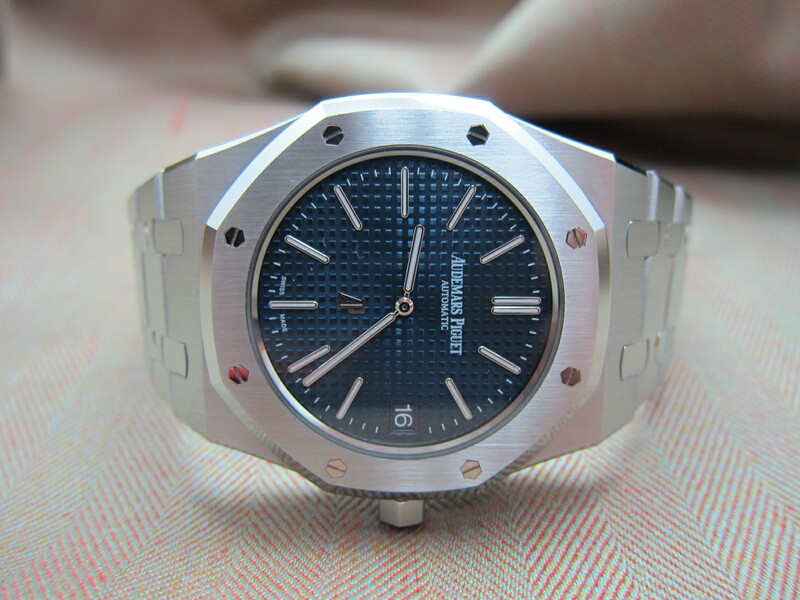 Modern crispness combined with the vintage heritage of the Royal Oak: AP logo at 6 o’clock on a classic blue dial. Inside the case the fabled ultra thin Caliber 2121 kicking strong with the Jumbos since the 70s! Super mint like new condition and FULL SET.